Enhancing Migration Management in Belize through an upgrade of the Migration Information Data Analysis System (MIDAS), IOM/IDF, by V. Vaca, January 2019. Shelter Interventions in Anbar Governorate, Iraq, IOM/OFDA, by MEAL/MCU, November 2018. Enhanced Skills Development and Qualification Recognition of Labour Migrants from Bangladesh, IOM/IDF, by R. Matsuyama, November 2018. Increasing Capacities for Addressing Irregular Migration in Serbia, IOM/IDF, by S. Harris, October 2018. Development of a National Framework for Durable Solutions in Vanuatu, IOM/IDF, by E. Wilkins, October 2018. Towards an Effective Migrants’ Right to Health in Central Asia: Assisting Governments in Enhancing the Provision of Health Services for Migrants – Kyrgyzstan, IOM/IDF, by U. Wagner, September 2018. Consolidation of Sri Lanka Biometrics Project: Biometrics Phase III, IOM, by S. Kim, June 2018. Assessing the Climate Change, Environmental Degradation and Migration Nexus in South Asia, IOM/IDF, by S. Kim, February 2018.
Review of Labour Migration Funded Projects 2011-2014, IOM/IDF, by IDF, December 2016. Rapport d’évaluation du projet IM.0032 « Renforcement des capacités des Institutions béninoises en matière de protection des droits des travailleurs migrants au Bénin », OIM/IDF, par OIM Dakar, Janvier 2016. Technical Assistance to the Ministry of Peace and Reconstruction to ensure Effective access of Conflict Affected Persons to Victims Assistance Processes in Nepal, IOM/IDF, by IML, December 2015. Psychosocial Support to Crisis Affected, Displaced and Migrant Youth and Their Families in Syria and Neighbouring Countries, Evaluation of Capacity Building Initiatives, IOM, September 2015. Counter Trafficking Protection Projects Review, IDF-Funded Projects 2008-2013, IOM IDF, August 2015. Counter-Trafficking (Prevention) Projects Review, IDF-Funded Projects 2008-2013, IOM IDF, August 2015. Programme de renforcement de capacités du Gouvernement guinéen sur la gestion des frontières (CBBM), IOM Dakar, Juin 2015. IOM Development Fund: 2014 Reviews, by IOM/DMM, September 2014. Promouvoir la protection des travailleurs domestiques et des victimes de la traite au Cameroun (Phase II), par OIM Sénégal, Août 2014. Catalytic Support on Land Issues , IOM Nepal, by IOM/IML, May 2014. Technical Assistance to Ministry of Peace and Reconstruction in the Implementation of Psychosocial Counselling and Support Services to Conflict Affected Persons, IOM Nepal, by IOM/IML, May 2014. Technical Support to the Government of Ghana to Address Child Trafficking and Other Child Protection Abuses in the Ketu South, North and South Tongu Districts of the Volta Region, IOM Ghana, December 2013. Support to the Government of Liberia to Establish a National Migration Policy Framework and to Build Capacity on Migration Management, IOM Dakar, Octobre 2013. Fortalecimiento de Capacidades para la Prevención de Secuestros a Migrantes en Tránsito por México y Atención a Víctimas de Secuestro – evaluación final, IOM/IDF, OIM México, Octubre 2013. Evaluation of IOM Sri Lanka’s “Community-Based Reintegration and Economic Recovery Support to Vulnerable Communities in the Newly Resettled Villages in the Northern and Eastern Districts in Sri Lanka” Programme, IOM, Internal Evaluation, July 2013. Awareness Raised: Insights into IOM’s Staff Sensitization on Prevention of Sexual Exploitation and Abuse, IOM/GCU, July 2013. IOM Evaluation of CERF funded Interventions (2006-2012), IOM, by OIG, April 2013. Evaluation: IOM Timor-Leste Counter Trafficking Project, IOM/IOM Development Fund, by H. Komenda, October 2012. Access to Finance and Capacity-Building for Earthquake-Affected Micro- and Small Enterprises Project (Indonesia) – Project Impact Evaluation, IOM/JRF, August 2011. 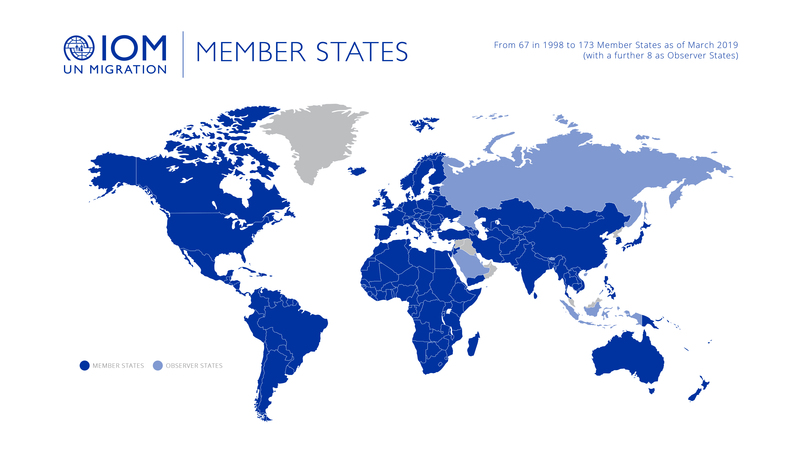 Third Evaluation of the IOM Development Fund (formerly the 1035 Facility): Support for Developing Member States and Member States with Economy in Transition, by IOM/OIG, April 2011. Improving Knowledge of Remittance Corridors and Enhancing Development through Inter-Regional Dialogue and Pilot Projects in South East Asia and Europe, IOM/AENEAS, by IOM LFM/MMS, August 2010. Final Evaluation The Philippine Border Management Project (PBMP), by IOM-TCM, June 2009. Rapport de l'évaluation du projet pilote "Renforcement du secteur de la santé en RDC par l'établissement d'un partenariat entre hôpitaux en Belgique et en RDC et la formation du personnel de santé congolais", OIM/DGCD, par J. Hollings et T. S. Amouh, Avril 2009. Internal Ex-Ante Evaluation 'Combating Trafficking in Persons in Afghanistan – Prevention and Prosecution', by IOM Washington, March 2009. Evaluation of the Philippine Border Management Project (PBMP) funded by the European Union, IOM Manila, May 2008. Evaluation of the Migration for Development in Africa (MIDA) Initiative as an Illustration of IOM's Approach to Making Migration Work for Development, by IOM/OIG, August 2007. Rapport d’évaluation intermédiaire partielle du Programme « Migration pour le Développement d’Afrique – Grands Lacs » Phase III, OIM Bruxelles, juin 2007. Evaluation of the Gender Mainstreaming Policy and Strategy in IOM, by IOM/OIG, November 2006. 'Support to the Demobilization and Reintegration of Former Combatants and Detainees in the Indonesian Province of Aceh', IOM/EC, by C.Riallant, September 2006. Second Evaluation of the IOM Development Fund (formerly the 1035 Facility), by IOM/OIG, December 2005. Evaluation of the MIDA Italy Project, by IOM/OIG, May 2005. Evaluation of the Migration Initiatives Process, by IOM/OIG, November 2004. Evaluation of the IOM Project for the Return and Reintegration of Trafficked and Other Vulnerable Women and Children between Selected Countries in the Mekong Region, by IOM/OIG, September 2003. Evaluation of the IOM Development Fund (formerly the 1035 Facility), by IOM/OIG, September 2003. Evaluation of the Migration Policy and Research Programme, by IOM/OIG, June 2003. Evaluation of the Programme to Provide Post-Emergency Assistance to Displaced Groups and Receptor Communities in Colombia, by IOM/OIG, December 2002. Evaluation of the Programme to Upgrade the Capacity of the Costa Rican Education System in Selected Communities Affected by Mitch-Related Nicaraguan Migration, by IOM/OIG, November 2001. Evaluation of External Voting Programmes: An Analysis of IOM's Role in Kosovo, by IOM/OIG, October 2001. Evaluation of the Programme for Government Funded Movements to Australia (Project code 470-CAU), by IOM/OIG, July 2001. Evaluation of the 'Programa Latinoamericano de Cooperación Técnica en Migraciones' (PLACMI 2), by IOM/OIG, July 2001. Evaluation of the Construction Component in IOM Interventions, by IOM/OIG, November 2000. Evaluation of the Return Assistance Programme for Croatia (RAP), by IOM/OIG, August 2000. Evaluation of the IOM Project for Shelter Construction and Emergency Assistance for Victims of 'Mitch', by IOM/OIG, July 2000. Evaluation of the Canadian Warrant Program, by IOM/OIG, April 2000. Evaluation of the Interamerican Course on International Migration, by IOM/OIG, April 2000. Evaluation of Phase III of the Programme for the Return of Qualified African Nationals (RQAN), by IOM/OIG, January 2000. Assessment of Impact of Returnees in the Work Place of the Programme for the Return of Qualified African Nationals (RQAN), by IOM/OIG, January 2000. Evaluation of IOM Public Information Programmes, by IOM/OIG, October 1999. Evaluation of the Project for Economic Revitalization and Employment Generation in the Una Sana and Banja Luka Regions (EREG), by IOM/OIG, July 1999. Evaluation of the Project Development Process in IOM, by IOM/OIG, July 1999. Evaluation of the IOM Information Programme in the Philippines, by IOM/OIG, February 1999. Evaluation of Capacity Building in Migration Management in Migration Management Programmes in Armenia, Azerbaijan and Georgia, by IOM/OIG, June 1998. Evaluation of Projects for Assisted Departure from Germany, by IOM/OIG, December 1997. Survey among Qualified African Nationals Processed under the Programme for the Return and Reintegration of -Qualified African Nationals (RQAN), Phase III, supported by the EU, by IOM/OIG, October 1996. Survey among Qualified African Nationals Supported under the Bridging Fund Scheme of the Programme for the Return and Reintegration of Qualified African Nationals (RQAN) - Phase III, supported by the EU, by IOM/OIG, October 1996. Final Internal Evaluation of the Programme Voluntary Return and Reintegration in their Country of Origin of Chileans Residing in Switzerland (RCS), by IOM/OIG, September 1996. Final Internal Evaluation of the Programme Voluntary Return and Reintegration in their Country of Origin of Chileans Residing in Belgium (RCB), by IOM/OIG, September 1996. Assessment of Assisted Return of Migrants Stranded in Eastern and Central Europe (SMIT), by IOM/OIG, May 1996. Joint (IOM/USAID) Evaluation of the Communal Governance Programme, Haiti, by IOM/OIG, February 1996. Assessment of IOM’s Operational and Financial Involvement in the German Integrated Experts Programme (GAPPO), by IOM/OIG, December 1995. Internal Evaluation of the Combined Project - Information and Referral Services/Provincial Fund, Mozambique, by IOM/OIG, June 1995. Final Internal Evaluation of the Project Retorno y Reintegracíon de Personal Calificado para Promover la Recontrucción Económica y el Desarrollo de Nicaragua (ALA/90/05), by IOM/OIG, June 1995.